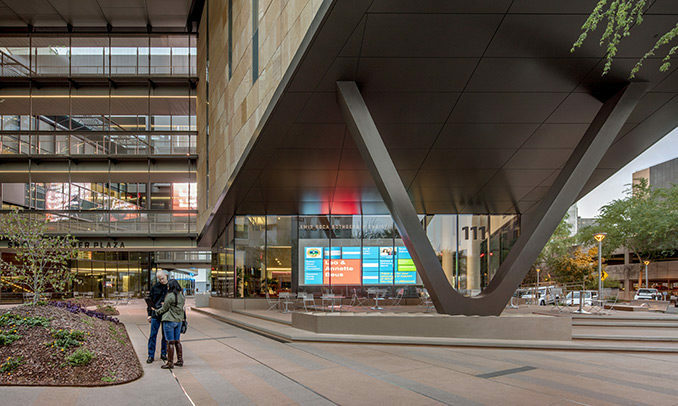 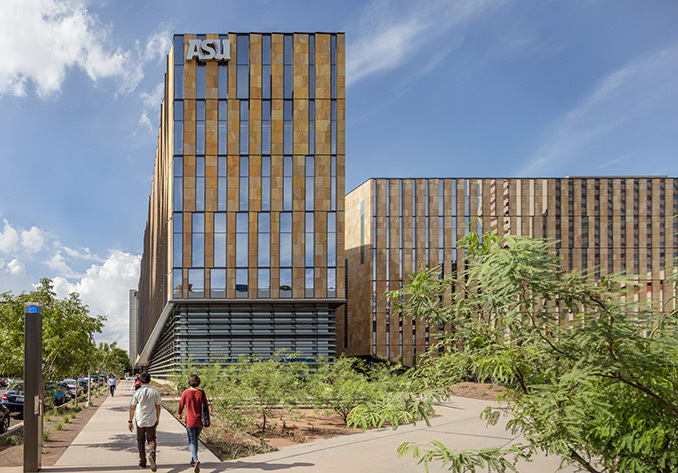 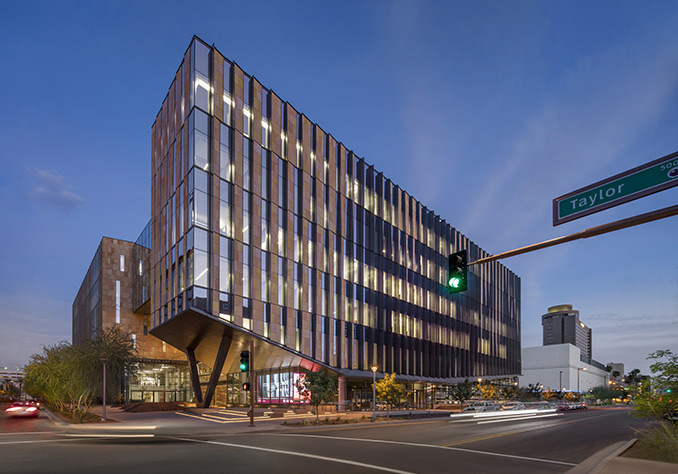 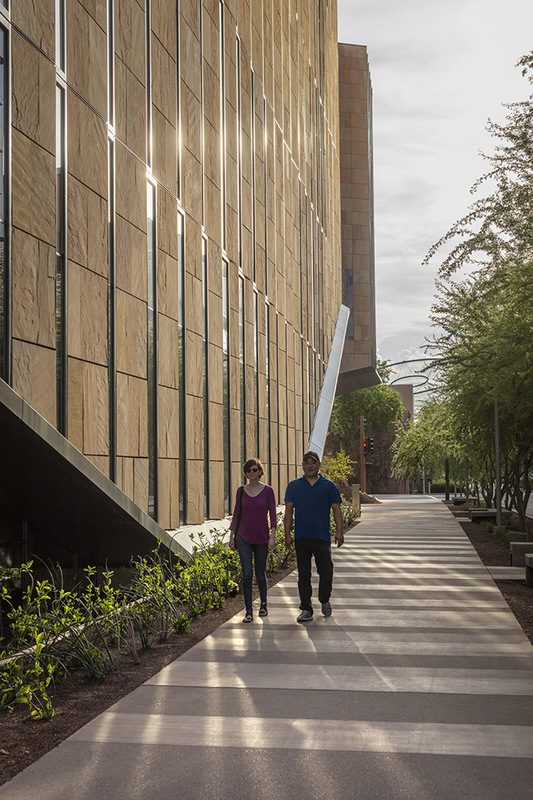 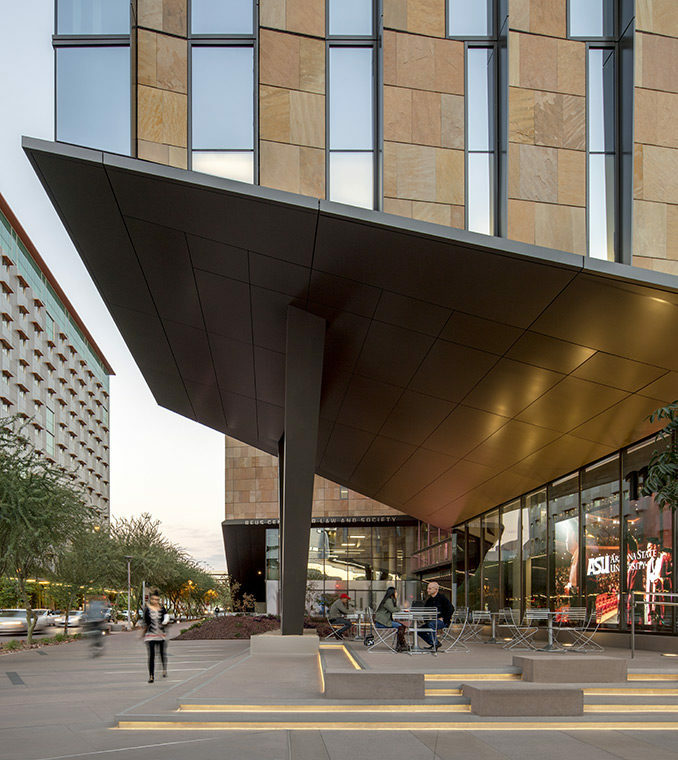 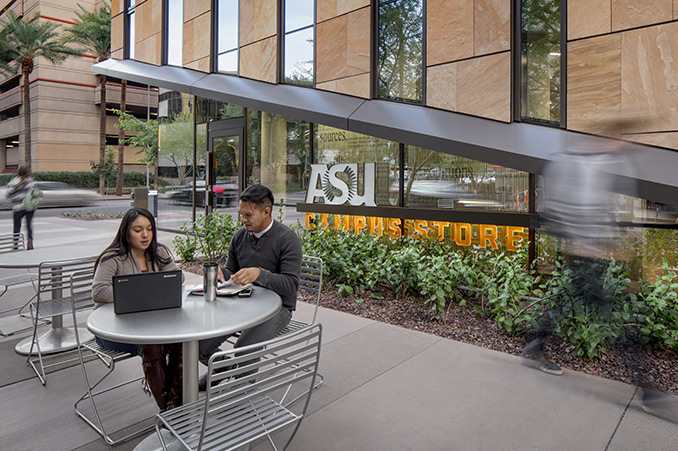 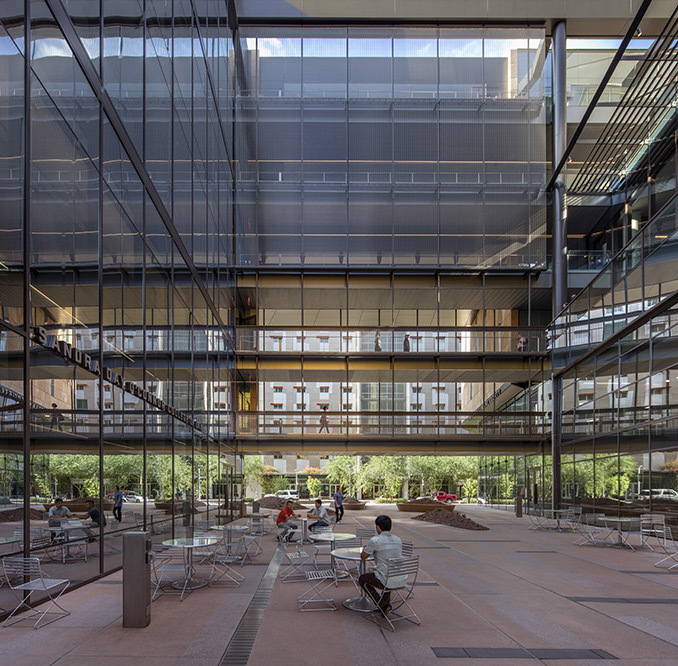 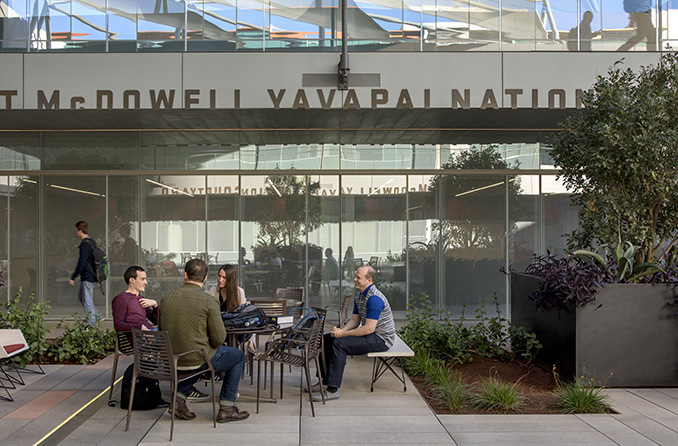 The landscape design for the ASU Arizona Center for Law and Society is expressive of a canyon, where the hardscape and landscaped areas are carved out of a solid mass of stone. 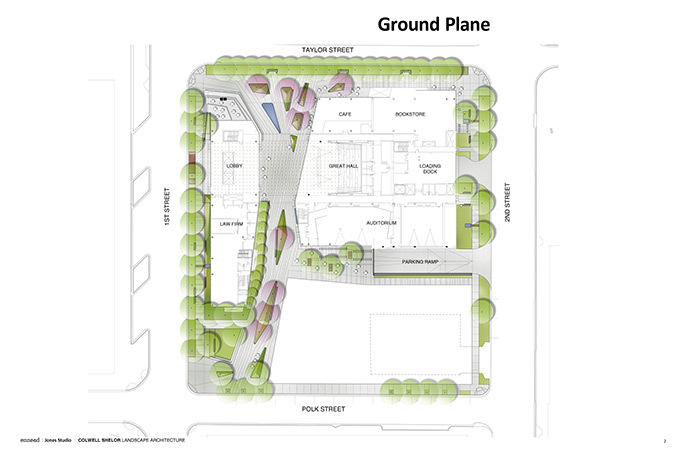 The outer edges of the site respond to the City grid and Taylor Mall. 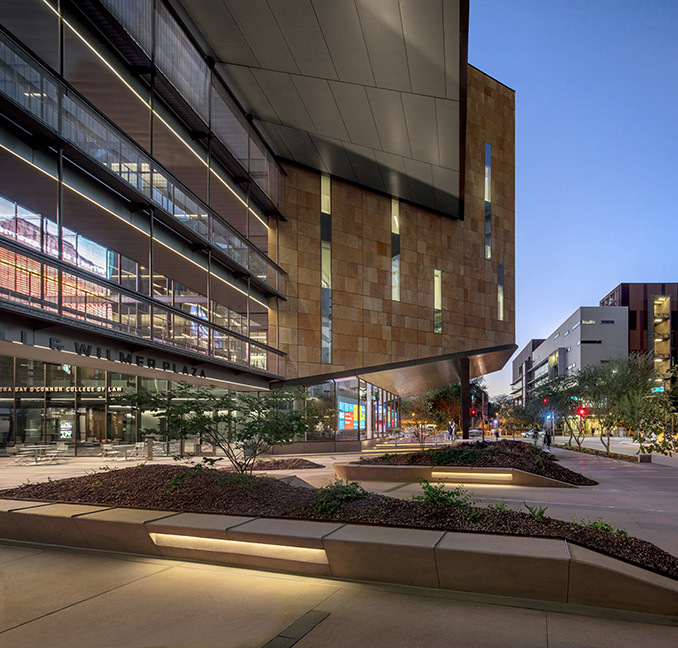 The inner street, running between the two buildings, is comprised of faceted berms with flowering trees planted over the parking garage, evocative of sandbars in the canyon floor. 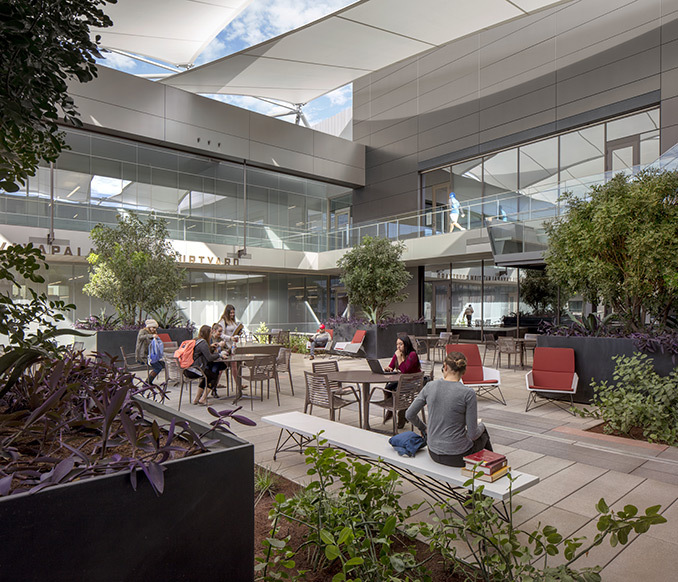 The cafe and lobby spill out onto the north plaza amongst lush planters, a large water feature and sitting steps. The south plaza highlights a green, sunken garden irrigated by surface run-off. 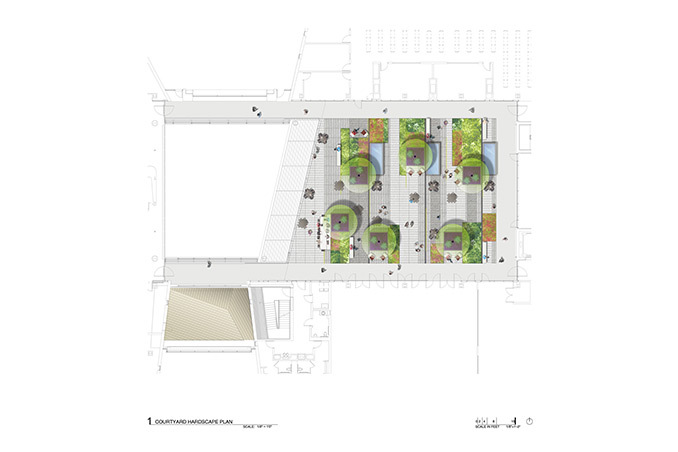 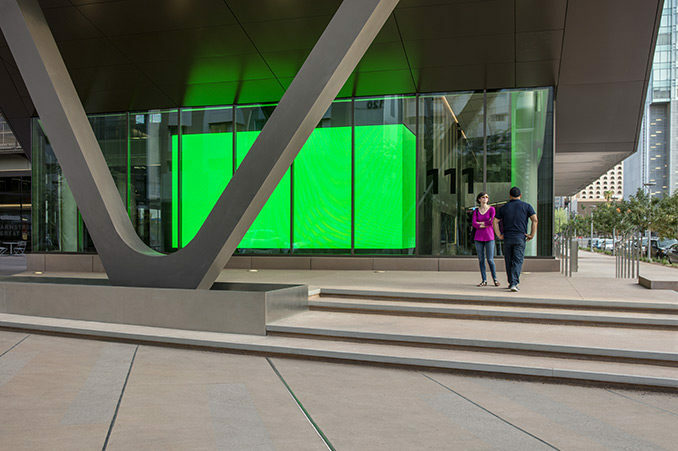 The fifth-floor green courtyard features a balance of event space flanked with trees in raised planters, a community table and both fixed and moveable seating.